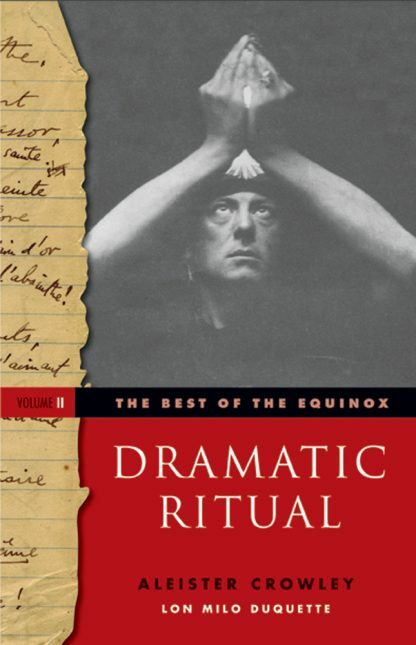 Volume II of The Best of the Equinox by Aleister Crowley, offers a treasure chest of dramatic rituals. The Equinox became the standard for English language esotericism in the early 20th century, aptly termed the �Encyclopedia of Initiation� by its principal editor and contributor, Aleister Crowley. This ten volume collection had remarkable variety, depth, and the utility of its contents encompass Qabalah, tarot, yoga, and the essential papers of Crowley�s teaching order, A...A.... Unfortunately, much of this material is currently out of print. The Best of the Equinox, Volume II, curated by scholar and U.S. Deputy Grandmaster General of the O.T.O., Lon Milo DuQuette, collects the best of Crowley�s material from both in-print and out-of-print editions of The Equinox. For Crowley collectors and the curious alike, this is an accessible, affordable volume packed with high magick and secrets.